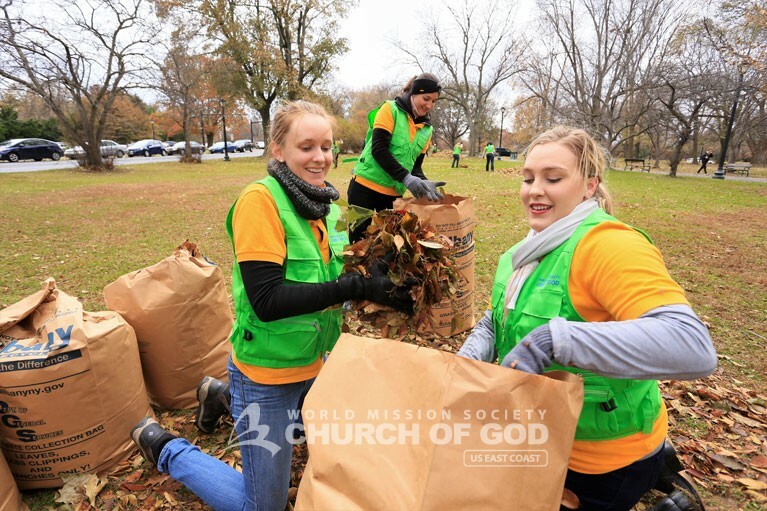 Towards the end of 2017, the World Mission Society Church of God carried out the “Mother’s Street” cleanup movement on an enormous scale. The goal in mind: promoting health and happiness among community members, while cleaning a total distance of the circumference of the earth. The campaign began in earnest on November 19 and lasted until December 3. The name of the movement stems from the Church of God’s belief in God the Mother. A mother cares for her household even down to the smallest of details. 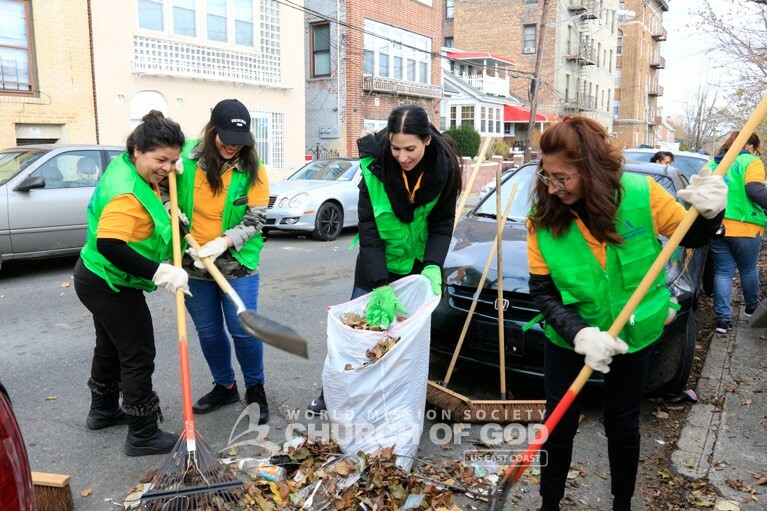 In the same way, members went out with the love of Heavenly Mother to give their community parks and streets a heartfelt cleaning. Group shot of World Mission Society Church of God volunteers carrying out the “Mother’s Street” cleanup campaign in Jersey City, NJ. 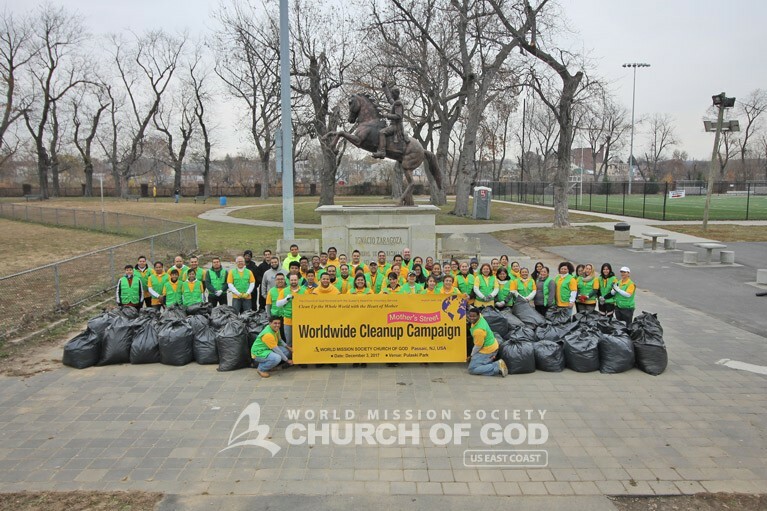 Group shot of World Mission Society Church of God volunteers carrying out the “Mother’s Street” cleanup campaign in Elizabeth, NJ. 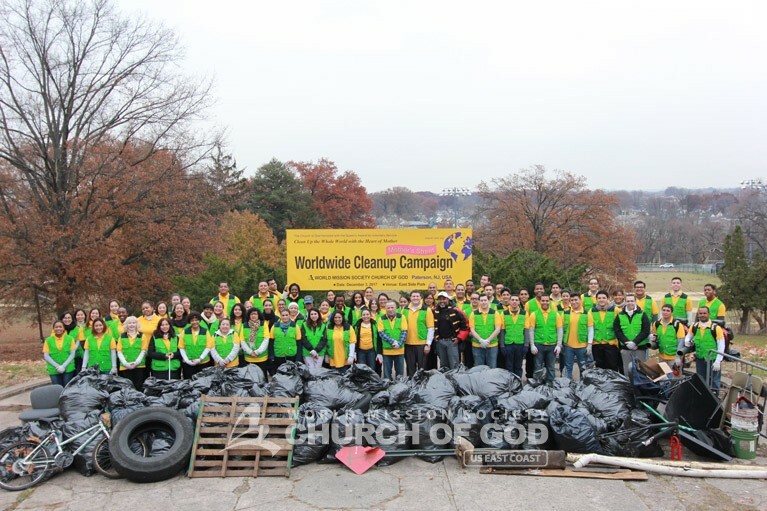 Group shot of World Mission Society Church of God volunteers carrying out the “Mother’s Street” cleanup campaign in Passaic, NJ. 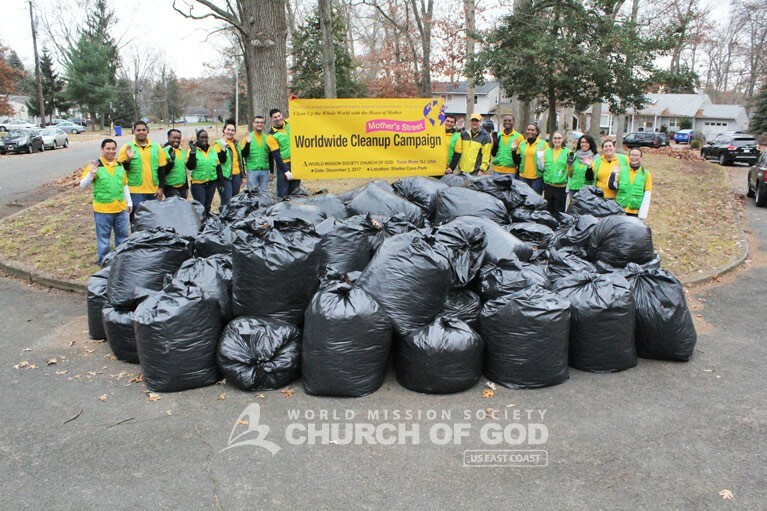 Group shot of World Mission Society Church of God volunteers carrying out the “Mother’s Street” cleanup campaign in Perth Amboy, NJ. 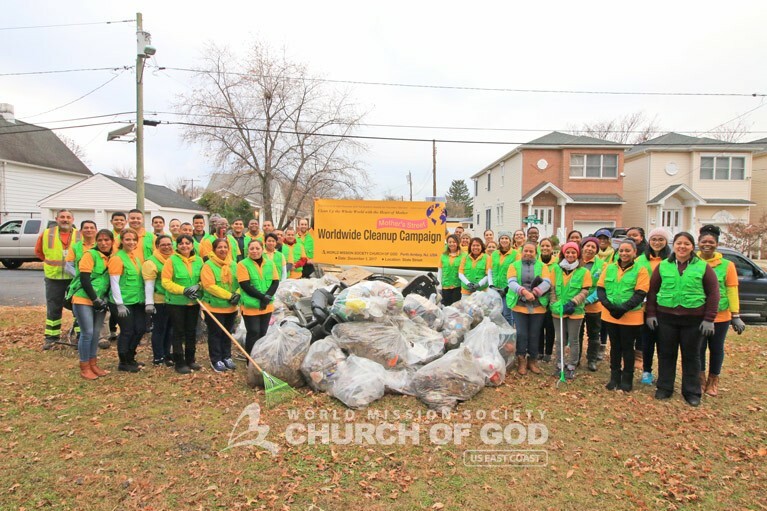 Group shot of World Mission Society Church of God volunteers carrying out the “Mother’s Street” cleanup campaign in Tom’s River, NJ. 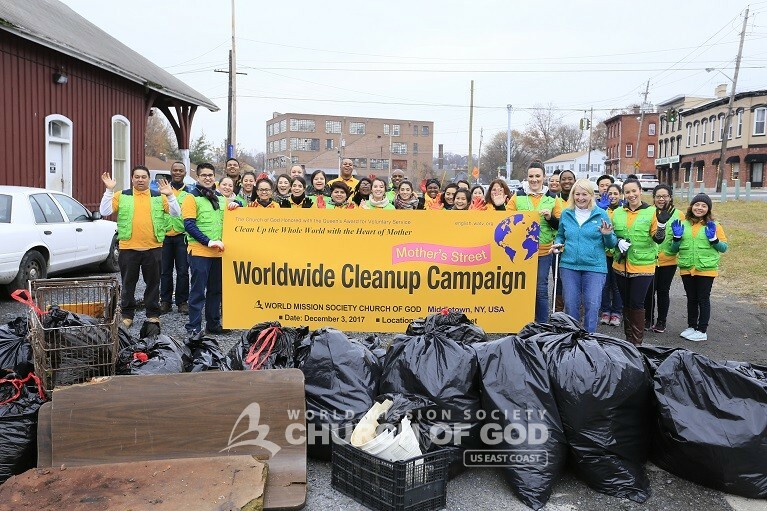 Group shot of World Mission Society Church of God volunteers carrying out the “Mother’s Street” cleanup campaign in Paterson, NJ. 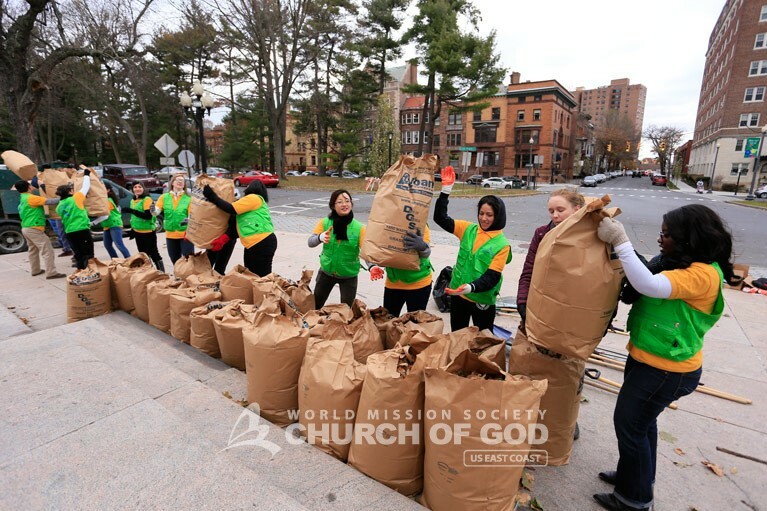 Group shot of World Mission Society Church of God volunteers carrying out the “Mother’s Street” cleanup campaign in the Bronx, NY. “Mother’s Street” took place in about 175 countries, as members in more than 6,000 different regions participated in the global effort. Meanwhile, U.S. members played their own part in their local communities. 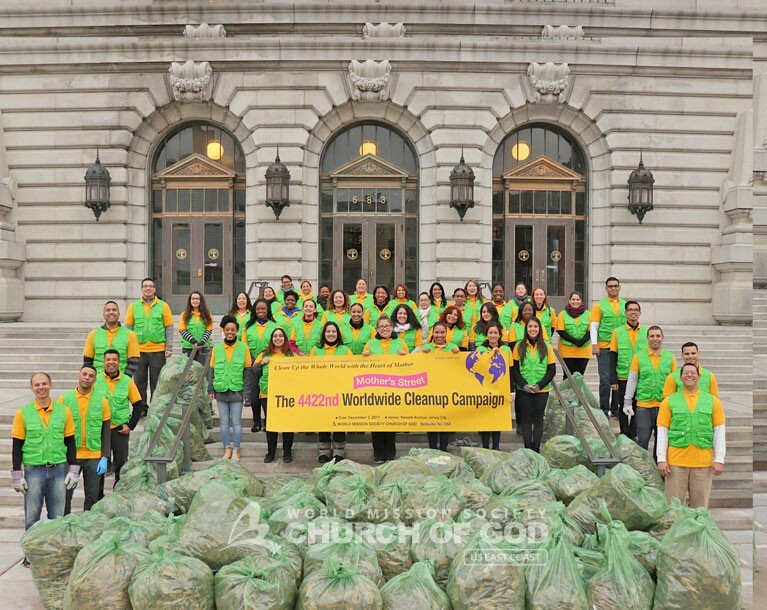 As a result, the cleanup campaign covered a total distance of 25,000 miles—just over the circumference of the earth. In this way, the members encouraged their neighbors to join the ongoing effort to clean up the whole world. On the East Coast, volunteers performed cleanups in Connecticut, Florida, Maryland, New Jersey, New York, North Carolina and Pennsylvania. Moreover, countries such as Argentina, Australia, Brazil, Cameroon, Ghana, India, Mexico, Mongolia, and South Africa also participated in the effort. 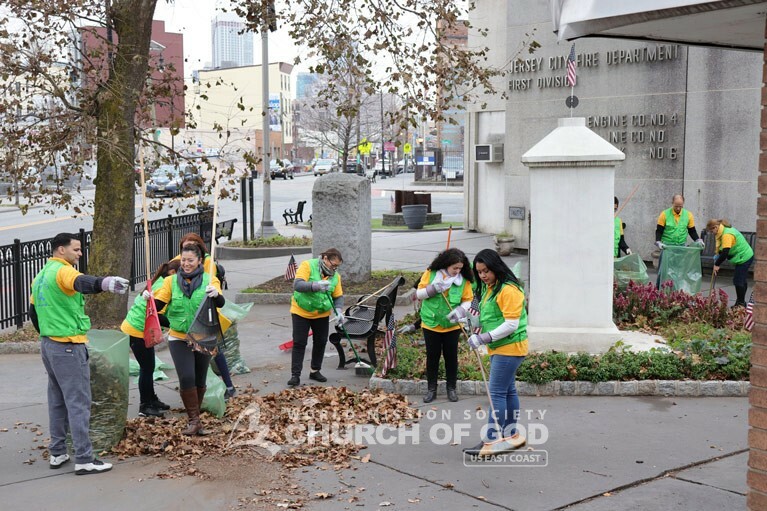 Volunteers cleaned up leaves and trash in unity to fulfill their “Mother’s Street” initiative. As volunteers worked towards the global goal of cleaning 25,000 miles, they ensured that every corner was tidied up. 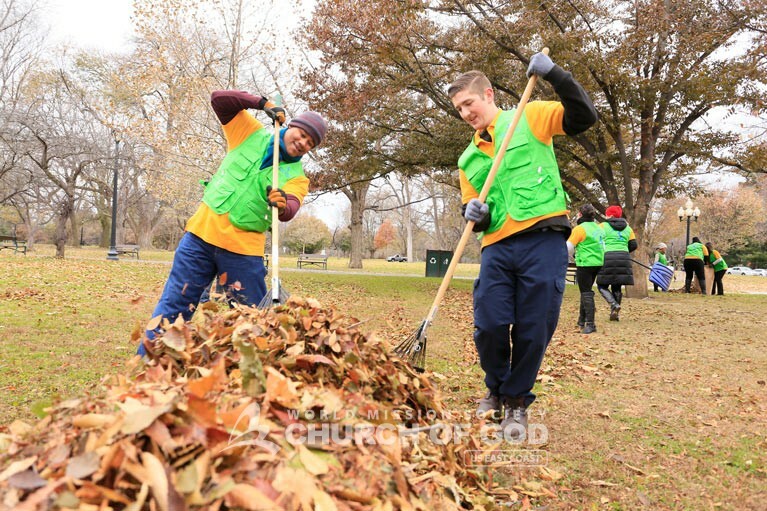 Church of God volunteers worked meticulously to remove as much trash as they could. Volunteers filled bags by the dozens at Washington Park in Albany for the “Mother’s Street” cleanup campaign. Members wasted no time raking leaves at Washington Park in Albany as part of the global “Mother’s Street” movement. 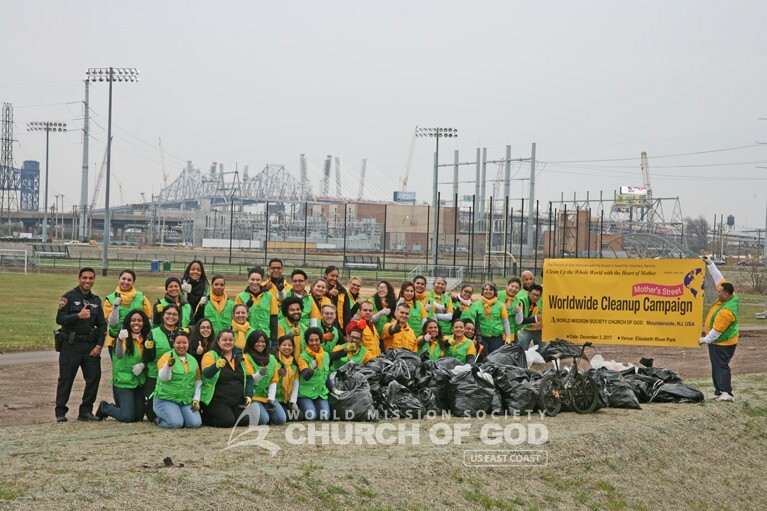 Members joyfully worked together to clean up trash from the streets of NJ. Volunteers cleaned up their streets and parks with the heart of a mother, paying attention to the smallest of details. 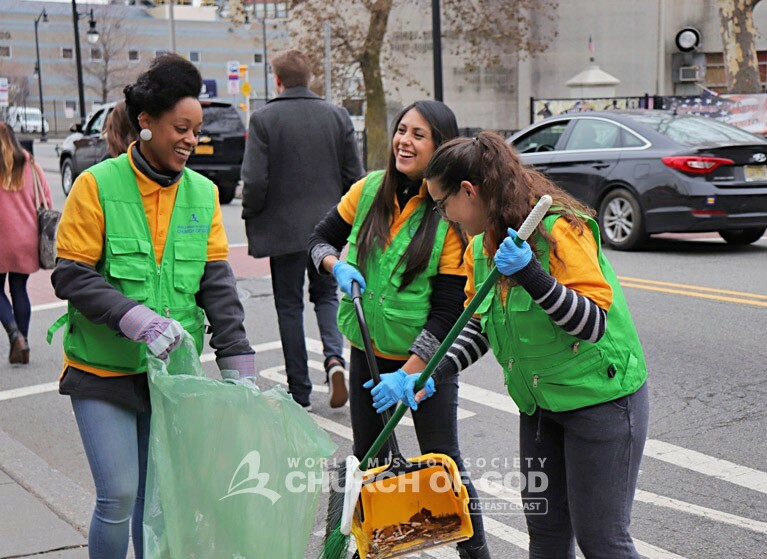 The Church of God conducts volunteerism in five main areas—environmental protection, disaster relief, blood donations, social welfare, and smile campaigns. 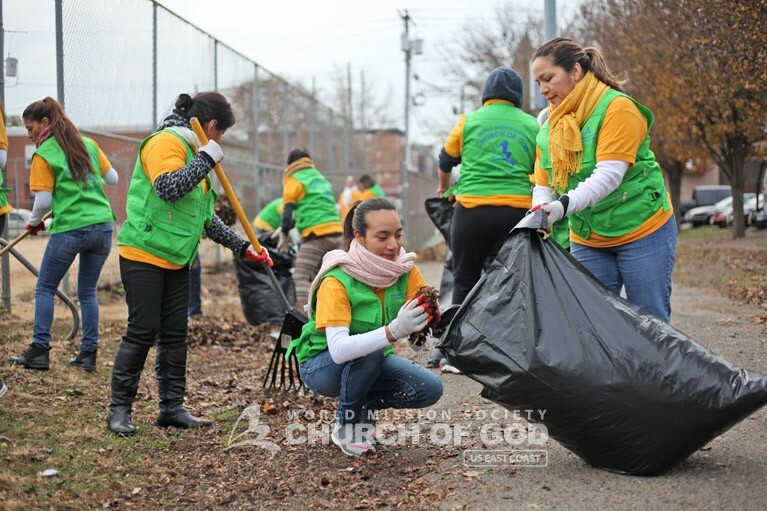 To date, the Church of God has conducted more than 4,600 environmental protection activities around the world. 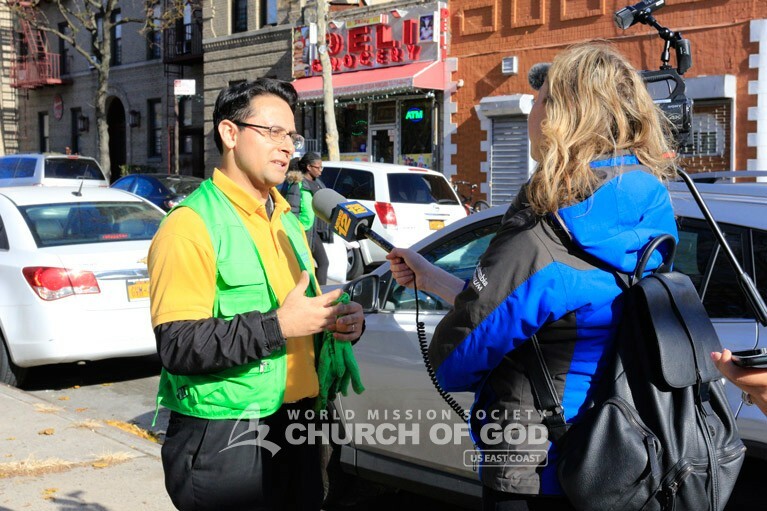 Additionally, the Church of God hosted a two-week disaster relief drive for Puerto Rico in the wake of three consecutive hurricanes. Churches of God throughout the East Coast and in the Caribbean collected canned food and basic necessities to be sent to the island nation. It feels great to make such a large impact around the entire globe! It’s amazing when everyone comes together with the same vision. 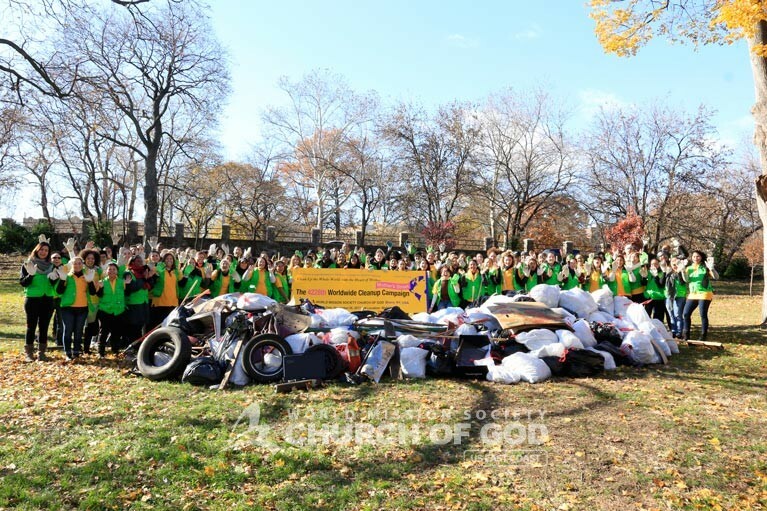 As a volunteer and member of the Church of God, this was the most EPIC cleanup I’ve been a part of. 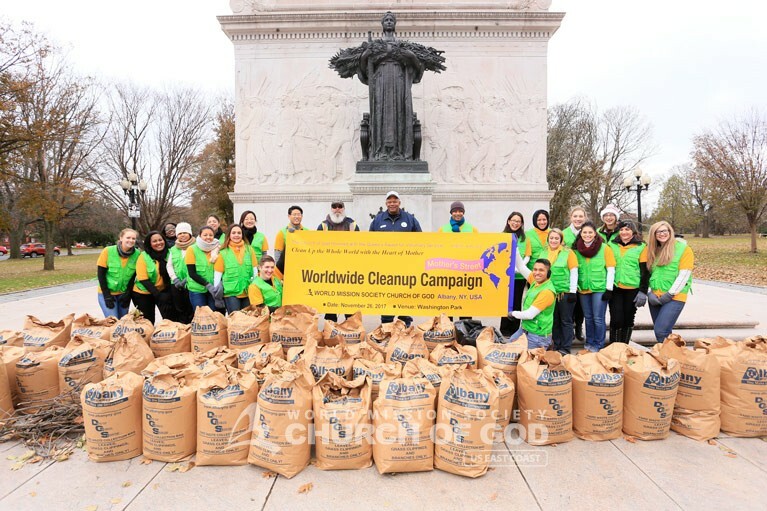 Just to see that as a church we participated in unity in this worldwide cleanup. I’ve experienced that when people see a clean street, home, environment, etc., their mindset changes. Their day can start off positively. When this world is cleaned with the love of Mother, we can have a positive mindset spiritually. I am very thankful to be a member of the WMSCOG. Wow it’s so amazing that the whole world can be cleaned in one week — surely the work of God. If it can be done physically, it can surely be done spiritually as well. Wow! This is so amazing! The Church of God is always making so much effort for the community. The members of this church practice the teachings of the Bible by taking action! I’m so moved that this was practiced in 175 different countries. Without a doubt, this is is the true church God dwells in! Wow! Very inspiring! So glad to hear that your goal to clean the circumference of the earth was met. The volunteers must be very devoted and faithful. Keep up the good work in setting a good example for all Christians. It is amazing that Mother’s Street took place in about 175 countries. I can see how Mother embraces us. Even in different nations, they gathered their minds to volunteer! Whatever Mother touches, all things change. I always support people who have Mother’s Love and look forward to changing the world to be a better place. Wow! Thanks to Father and Mother for the opportunity to be a part of this cleanup. Let’s continue to make Mother the praise of the earth! I like this kind of campaign! Thank you for making the world better. Thanks to Father and Mother for sending angels. WMSCOG members are angels who change the world. The campaign continues to make the world more warm and happy in God’s love. Let’s spread the love of Heavenly Mother who is teaching us good ways! All thanks and glories to God the Father and God the Mother. It’s so amazing that all the members of WMSCOG who participated in Mother’s Street Movement have bright smiles on their faces. That must be from Mother’s love. It’s so comforting to see this heartfelt street cleaning all across the world! Everyone has such bright and cheerful smiles while caring for their communities. Thank you for all your efforts!